Shown above is Mac Miller’s last post on instagram, which was shared on Sept. 6, the day before his death at age 26. Photo from @macmiller on Instagram. Malcolm J. McCormick was 26 years old when he passed. In May, Miller was charged with a DUI after he fled the scene with two other passengers after he drove his SUV into a pole. Miller was later arrested at his Los Angeles residence where he admitted to fleeing the scene. The incident happened soon after his breakup with singer and songwriter Ariana Grande. Miller, who also went by his producer alias, Larry Fisherman, grew up in Point Breeze located near Squirrel Hill and Shadyside in Pittsburgh. Miller attended and graduated from Taylor Allderdice High School, which is the same school that other known Pittsburgh rapper Wiz Khalifa attended. In 2010, Miller signed his first record deal with Pittsburgh-based indie record label, Rostrum Records. A year later, he would come out with his first album, “Blue Slide Park” on Nov. 8. The album went on to sell 140,000 copies in the first week and secured a No. 1 spot on the US Billboard 200 chart. The album became the first independently distributed album debut to top the chart since 1995. 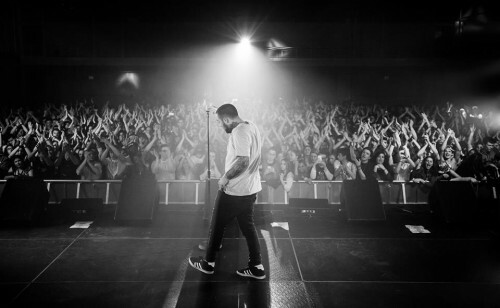 Mac Miller is pictured on stage during one of his performances. 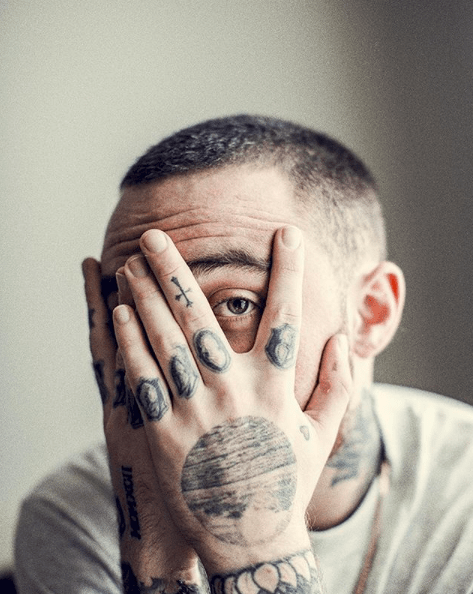 Miller’s last tour occurred in 2016 with the release of his album, “The Devine Feminine.” Miller was originally scheduled to go on a nationwide tour of his album “Swimming” in October. Photo from covermesongs.com. Miller went on to release four more studio albums with the addition of two EPs, a live album, 12 mixtapes and 31 singles. Miller and his friend and business partner, Quentin Cuff, founded the label REMember Music in 2013 for new upstarts. In 2014, Miller signed a $10 million deal with Warner Bros. Records. Recently, Miller released his fifth studio album entitled “Swimming,” which would have been followed with a tour. The tour was scheduled to start Oct. 27 in San Francisco. On the 24-track mixtape, Miller raps the line, “Don’t tell my mama I got a drug problem” on the song “New Faces” which features rapper Earl Sweatshirt. Miller died of an apparent overdose, which is a topic that should not be discounted for. Miller’s death was not that of a selfish act, which is a belief that surrounds the subject. Addiction is disease, a mental illness many people have succumbed to. Miller’s death should shine light on the subject at hand and let people who struggle with this illness know they are not alone. Substance abuse is an issue that has been at an increase in recent years. Drug overdoses have killed more than 72,000 in the U.S. alone according to the Addiction Center. Already there have been 67 confirmed overdoses within Westmoreland County as of 2018 and 16 still pending, according to Westmoreland County’s website. 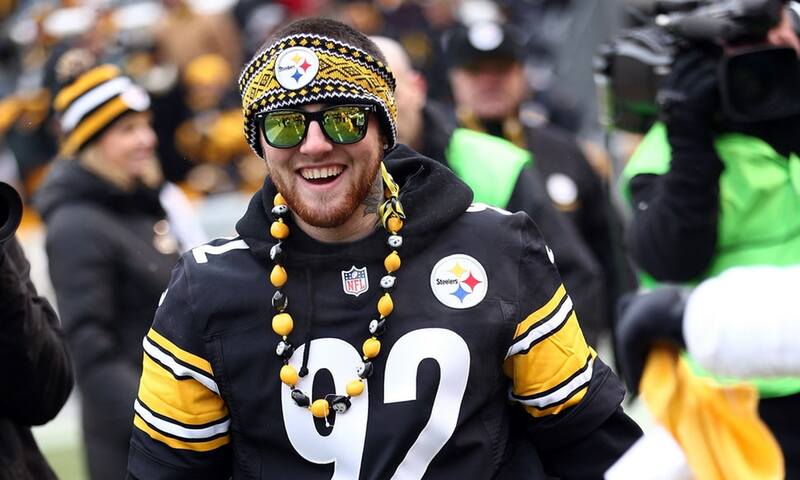 Miller gets ready to lead the crowd in the waving of Terrible Towels at the Pittsburgh Steelers’ game. Miller often took part in this ritual when visiting Pittsburgh. Photo from eonline.com. “Our community as a whole must continue its attack at all levels to combat this plague. I am convinced that it will be eradicated only with the combined efforts, sensitivity and financial and emotional commitment of our communities, government medical and law enforcement,” said Feliciani. Miller may have had fans all around the world and may have seemed to be surrounded by people who loved him, but often times people struggle with addiction in silence. Miller’s death should break the silence and let everyone out there who is struggling know they can get the help. Mac Miller/Malcolm McCormick will forever be missed. He will live through his music forever and will never be forgotten. Miller left his mark on Pittsburgh the same way he left his mark on all of us.